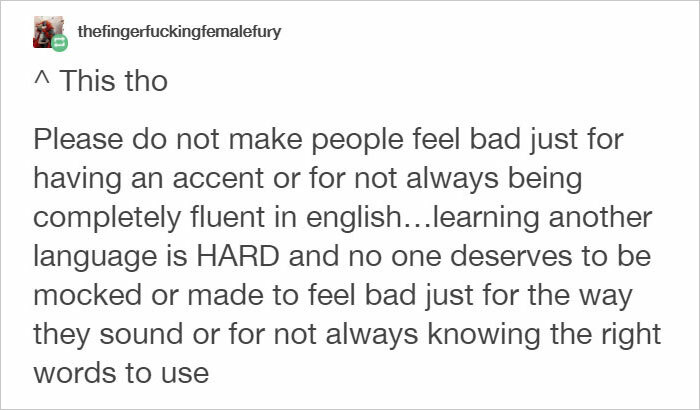 Learning a foreign language is seriously tough, it takes patience, dedication and courage and anyone who has been able to do it deserves respect. Can you imagine then, conversing with others in their language, and instead of appreciating your efforts they decide to mock your accent instead? 24 year-old Cody, from California, is a linguist, author and musician. 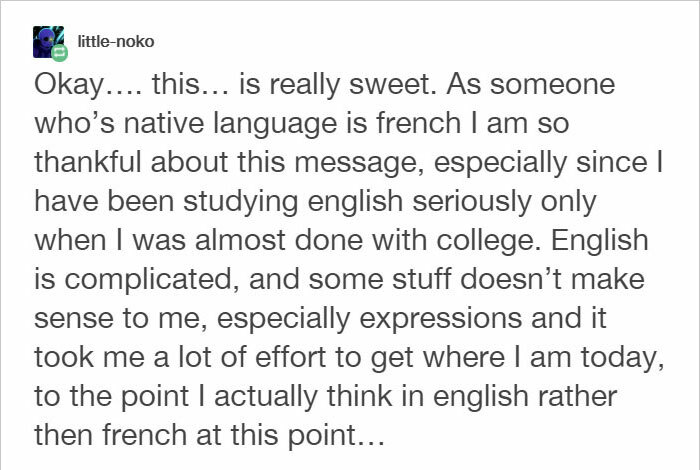 As he speaks several languages himself, he can empathize with the effort that it takes to learn. He shared a story about a Russian friend of his, who was mocked for her way of speaking in English. 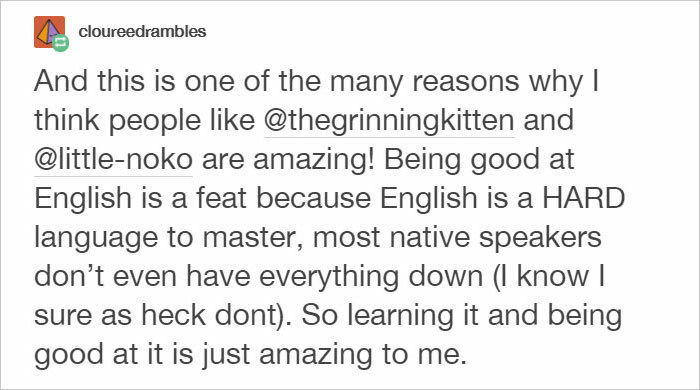 Now, for a foreign speaker, English is not an easy language to master, it is a ‘mongrel’ language, consisting of Germanic, Celtic and Romance influences. The grammar structure is not consistent and there are many exceptions that don’t really make sense, they just need to be remembered. This Russian girl, obviously bright and capable and not to be messed with in English, let alone her native tongue, wasn’t about to be belittled by somebody who doesn’t have a clue what it means to communicate in a foreign language. Scroll down below to check out her brutal comeback for yourself, and let us know what you think in the comments. Do you speak another language? Have you experienced this kind of treatment before? Join the discussion!